Arleigh Rose has been working in the food industry for over 15 years. She was born and raised in a small town in Maryland, home to blue crabs and Old Bay seasoning. 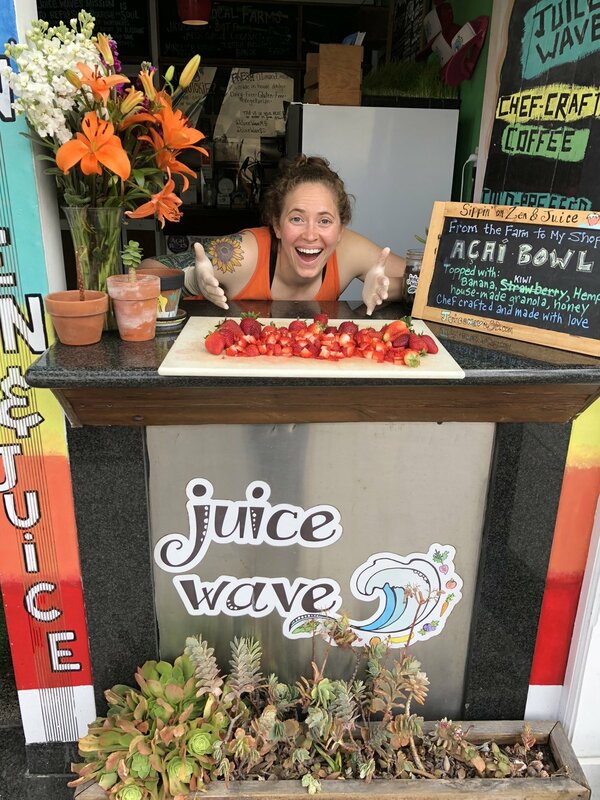 After graduating from Colorado State University, she packed up and moved to work for the grand opening of Snooze, an A.M. Eatery in Hillcrest, San Diego. After two years working with Snooze, Arleigh attended the New England Culinary Institute in Montpelier, Vermont. She began interning at Salt, a small farm-to-table café, and really began understanding the true beauty of using fresh ingredients. She then had the honor of working with James Beard Award Winning Chef, Michael Tusk at his two Michelin-Star Restaurant, Quince, as well as butchering for his sister restaurant, Cotogna. Attending every farmer’s market in the Bay Area to pick up the fresh and local produce for both restaurants was one of her most cherished memories. WWOOF (World Wide Opportunities for Organic Farms) was the best option for her to get her hands in the dirt. After searching long and hard for the right farm to start this new adventure, Farmer Leo’s in Leucadia was calling her name. Through her journey back and forth, she has cultivated her culinary skills and has become most passionate about utilizing ingredients from local farms and incorporating sustainable methods.